SAP Cloud Platform is a Platform-as-a-Service offering that lets SAP customers extend SAP solutions running in the cloud or on-premises, integrate applications and data, as well as to develop and run new cloud-native applications. SAP Cloud Platform’s Cloud Foundry environment is a multi-cloud offering, providing you with the option to provision open-source backing services from SAP as well as services from third-party providers. 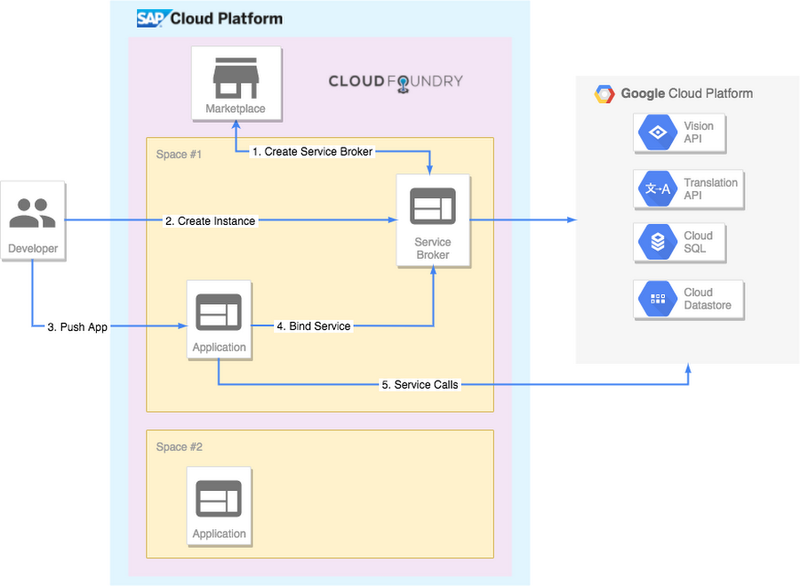 To make it easier to connect to Google Cloud Platform (GCP) services from SAP Cloud Platform’s Cloud Foundry environment, we collaborated closely with SAP on an integration guide that includes how to enable GCP services in SAP Cloud Platform Marketplace using GCP’s Open Service Broker. Implementing a broker service allows you to focus on the services you need to get your job done without having to know how the services are built or worrying about the infrastructure you need to run them. The Open Service Broker gives you access to a wide range of GCP services such as storage, big data, machine learning, monitoring and debugging that you can natively incorporate into your applications. And we’ll add more GCP services to the Open Service Broker as we move forward, opening up a whole new range of services for your applications. We want to make Google Cloud the best place to run SAP applications. We’ll continue listening to your feedback, and we’ll have more updates to share in the coming months. In the meantime, you can learn more about SAP solutions on GCP by visiting our website.